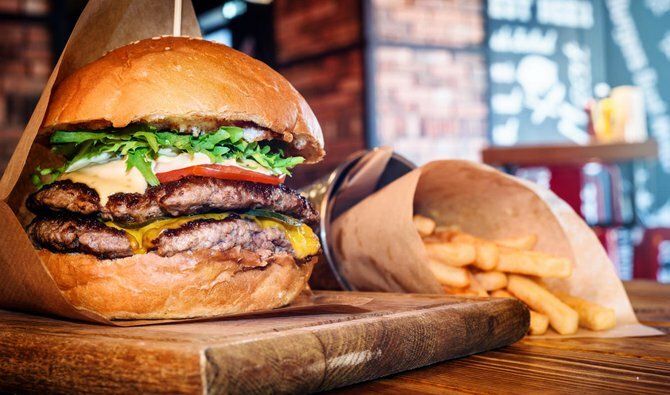 MAR 2018 – The panache of grinding fresh beef for burgers or cutting steaks in-house can be luring, but it also can provide unnecessary risks to your business, decrease food quality, and detract focus that should otherwise be dedicated to front of the house customer service and experience. Reduced Labor Cost: Grinding and cutting is a slow process. If you go too fast, you risk losing yield and creating a high cost product. Removing labor associated with cutting, slicing, and dicing saves time. It also saves time cleaning and sanitizing cutting tools and surfaces required for production. Reduced Labor Injury Risk: Working with knives, grinders and other sharp cutting tools, plus cleaning and sanitizing carries inherent labor injury risk. Outsourcing beef grinding, slicing, dicing and cutting reduces labor injury risk and worker compensation claims. Increased Consistency: One of the most important tasks in food service is making sure every dish is served the same way every time. Patrons want to get the same experience each and every time – and from store to store. 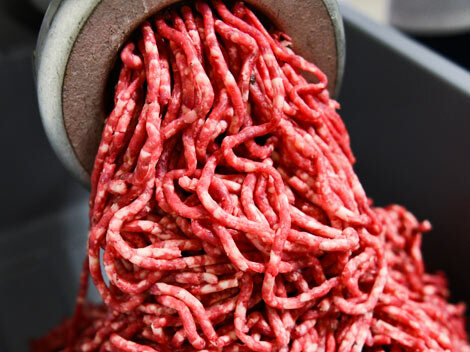 When you are grinding or cutting your own beef, it’s difficult to control the many variables that go into product consistency, from portion size, blending proportions, temperature, age, as well as utilization of by products and controlling waste. Outsourcing ensures your product is ground, cut or diced with controlled, precision uniformity every single time. What is the temperature while you are grinding? Often grinding takes place in temperatures vastly exceeding 40°F because of lack of preparation area and temperature control, and even more so, proximity to ovens, grills, and fryers. How clean is the storage bin holding meat before and after grinding? How quickly are you using the ground beef? Are your employees doing the cutting or grinding under proper food safety conditions? Are the surfaces (and knives), which likely also process fish, chicken, and pork also clean to avoid cross contamination? With outsourcing of grinding, slicing, dicing, and cutting, your food safety is greatly simplified. Increased Food Quality. Food quality depends significantly on freshness and age of meat. As a restaurant or chain doing your own in-house grinding and cutting, the age of the meat received can be highly unknown, inconsistent case to case, and difficult to manage. The older the product, the more bacteria. Sterling Pacific has the ability to control most all of the variables affecting age and freshness by strict and consistent in house processing controls. When considering the age of the meat your restaurant or chain is managing, be sure to also add in the number of days you are holding it before grinding or cutting. The longer you have it and the older the cut, the bigger sacrifice to quality – and food safety. Improved speed and service to the customer. Increased back of the house efficiency requiring less labor combined with product that cooks consistently means customers can be assured consistency – and restaurants can dedicate more time and focus to the front of the house and customer experience. Reduced Waste. Our products are 100% usable. No trimming off connective tissue or excess fat that you paid for in weight and then also consuming labor to discard it. With outsourcing, you will use 100% of what you pay for, thereby controlling food costs with consistency. Reduction of Space and Ease of Storage. Dealing with raw protein products requires specific areas to prep ingredients and also store them. Outsourcing cuts out the space needed for raw protein cutting, slicing and dicing, and a variety of packaging options aide in ease of storage. Outsourcing is always a big decision. But in an industry with clear rising labor costs and an ever increasing bar for customer experience and concern for food safety, Sterling Pacific Meat Company has experience collaborating with chefs and restaurant chain professionals to develop a variety of solutions that offer numerous benefits to business entities from 1 to 1000 stores. As partners to chefs and supply chain professionals in the restaurant, hospitality and other food service industries, Sterling Pacific Meat Company actively seeks to develop solutions that save our customers money, increase back of the house consistency and efficiency, and improve front of the house customer experience. Sterling Pacific Meat Company is one of North America’s largest full service BRC Certified custom protein processors serving restaurants, theme parks, airlines, food service, and other businesses. A state-of-the-art, fully industrialized 70,000 square foot complex is USDA continuously inspected and offers a full spectrum of raw, fresh and frozen beef, poultry, pork, lamb, seafood and other protein products delivered nationwide. For those interested in learning more about Sterling Pacific Meat Company please contact us at (323) 838-9400 or Matt.Cullen@SterlingPacificMeat.com.